Dear visitors, as you may be aware that I am one of the traveler who used to travel often with and without plan anywhere and anytime. I have to use the gadgets for different purpose upon. The device I carry with me is a smartphone, camera and iPad Pro for better productivity while travel. I carry a laptop when I stay somewhere extra days to complete my online work. As you know, I blog therefore I need multiple gadgets to use them on-time effectively. The latest iPad Pro is using for rough usage but it didn't came with case when bought it. You can get transparent case for smartphone but not for iPad devices. So, I have to buy its case to protect it from scratches or fell down etc. 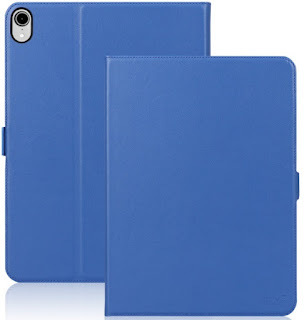 Where to buy iPad Pro case? Thus, I was searching for an iPad Pro case, where to buy it? How it will be? What would be the price of iPad Pro case? Is there leather case for iPad Pro? These questions were in my mind. Upon browsing about it, I landed to a different website called FYY which is new for me. After browsing the website then come to know that they are genuine, their product also genuine-leather made for the device. So, I ordered FYY Luxury Cowhide genuine leather handcrafted case [support Apple pencil charging] for new Apple iPad Pro 11" 2018. This is pure handmade case protective cover that actual price is USD $69.99 and luckily I bought it for $46.99 as discounts were going. I had recommended it to my friends as well who really appreciated it after seeing mine. You can trust this website for quality products, pricing, shipping, delivery and customer care in case if you found any issue from them that they would solve in stipulated time. You can also check FYY Instagram page for the latest products and offers. I traveled a lot these days and taken hundreds of photos wherever I had been, it is just to publish on my travel blog to share with all of you. It was unfortunate that had a lot of other works to do, so, unable to post them on-time except this one. 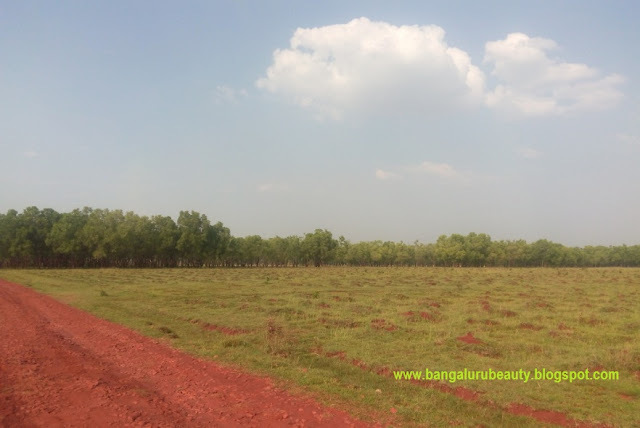 I recently traveled to Hesaraghatta, it is close to 45kms from Bangalore city center. After crossing the city or Yeshwanthpur and Nelmangala (Bangalore North), you would get the right direction to reach Hesaraghatta area. You can ask anyone how to reach Hesaraghatta or can Google Maps for it. Also, you would see many natural scenarios on the way to Hesaraghatta in Bangalore, Karnataka, India. You have to cross some more kilometers to reach some of the best location where sometime film shooting going on. 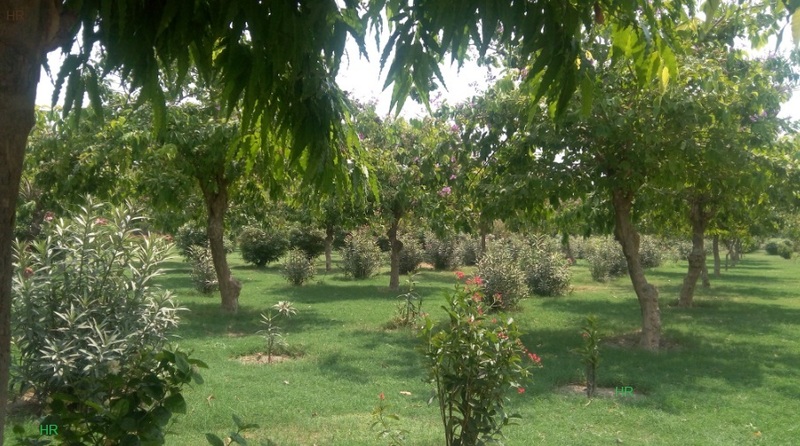 You would see natural scene over there with fresh air and greenery around. You will love to spend at least whole day with nature, breeze and fresh air. You can see one of the photo given here which you may like it. This place is really awesome. The weekend will be filled up by some more people or it will like a kind of forest without much movement. How to reach Hesaraghatta and its detail is given above. There are thousands of different clicks you can take over there to remember. Also, there are few resorts and farm house around to stay with nominal charges. You can go with your friends or solo or with family etc. over there to spend at least few hours with fresh air and natural surrounding. You would get a lot of experience than just some photos or few videos. The route will be remembered to be back or else you might lost somewhere to return back as there are many small village route can confuse you. It is possible that you may rare unfortunately won't get net connectivity. In most of the time, you would get connectivity for sure as there is no issue as per our visit. You can add your valuable comment on this or if you have query let us know to guide you. The good news for the traveler. Yes, Tourism Fiji brings a little bit of ‘happy’ to India - Launches brand campaign with Ileana D’Cruz. The campaign, #BulaHappiness, sets on a happiness quest in Fiji, by capturing the true spirit of the Bollywood actor’s visit to the country. 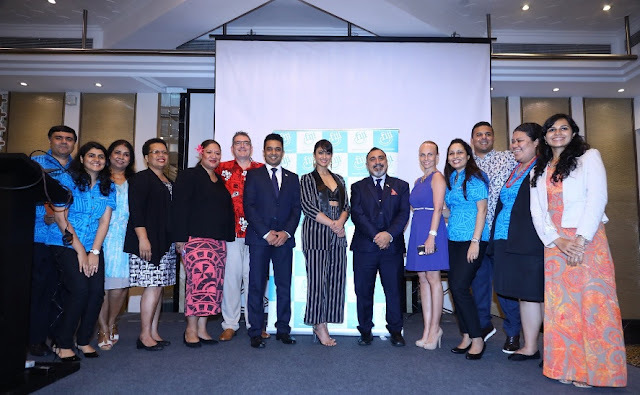 Tourism Fiji Brand Ambassador Ileana D'cruz with the High Commissioner of the Republic of Fiji, His Excellency, Mr. Yogesh Punja, Country Manager India, Ms. Seema Kadam and the Tourism Fiji partners. Are you planning to go Fiji? If yes, read this article. The gorgeous white sandy beaches, clear blue water and sunny skies can be found at several places around the world. However, rarely is it combined with the warmth of a culture that exudes a distinct aura of impeccable hospitality. With over 300 islands, the resplendent Fiji transports you to a land of pure bliss from the very first ‘Bula’. Bringing a little bit of heaven to India, Tourism Fiji unveiled its new brand campaign, #BulaHappiness with their Brand Ambassador, Bollywood starlet, Ileana D’cruz. The campaign video launched in Mumbai amidst the presence of Ileana D’cruz, High Commissioner of the Republic of Fiji, His Excellency, Mr. Yogesh Punja, Regional Manager Asia, Ms. Kathy Koyamaibole and Country Manager India, Ms. Seema Kadam and other Fiji Partners. The perfect blend of sandy shores, green interiors and warm, friendly people is what Fiji is all about and Tourism Fiji’s new campaign video exemplifies this beautifully. The video encapsulates Ileana’s experience during her visit, highlighting some of the best places and unparalleled experiences in Fiji. Would you like to know about Mehtab Bagh (Garden) in Agra, India? If yes, please find its brief and one of the image over here. The garden is located behind the Taj Mahal, Agra. You have to take special cab or auto arrangement for this from the Taj Mahal as you have to cross the Yamuna river's other side to reach this garden (Bagh of Mehtab) in Agra. This is one of the summer camp for the royal family's in the past. We will describe more about this in our next post. I suggest you not to go this place during summer (March to May month) and the rest of the time has no issue to enjoy this place. It is worth to visit at least once in a time. I try to walk most of the time anywhere as much as I can. This is not only for health but it is also helps to get tired and get sleep well for the day. In occasion, I get too much relaxed so starts to walk later. The lifestyle is becoming lazy by sitting at home or office or riding bike or traveling in cab etc. so less walks around. This is the case when we go outside as well. 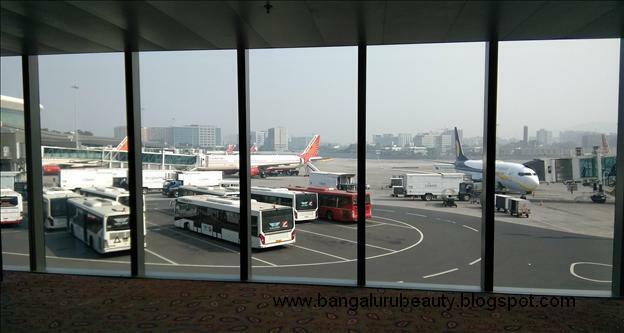 However, during the time we go outside or outstation then we have to walk around whether it is to catch the cab or auto or bus or train or even the flight. We have to walk within their platform till we get the certain transportation. I used to get some event invites often for the out-station other than my city. I try to attend the events in my city if it is within very few hours and possibly able to reach and attend it or else have to reply back them with just unable to make it. If the event is beginning or ending of the weekdays then I used to accept to attend the event in other cities or else, no. This is just to enjoy my weekend with that day along. 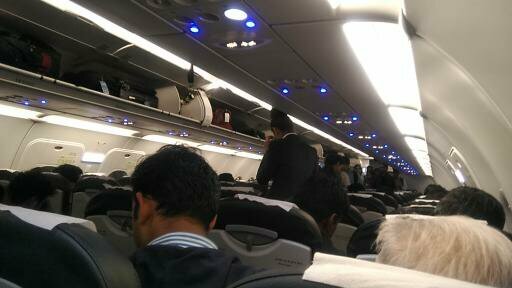 I had been to few cities for the event just a day like early morning departure and late evening return etc. but this gives little hectic and unable to cover the other entertainment in the other city. I recently went to Mumbai for an event and the event was on Friday, so, this was the best choice to go with as weekend was next. I could enjoy one or two days along. 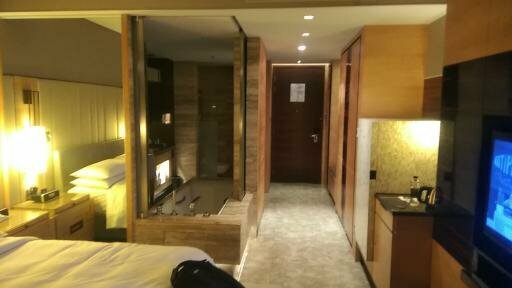 Yes, after the event over on Friday, back to room and chilled for few minutes due to humidity outside. The local travel begun around 5pm in the evening. Walking...walking...walking rather catching auto. Yes, I and one of my friend did the same plan and been to Phoenix city mall in Kurla-Bandra road, Mumbai. We walked and reached there despite few kilometers away from our room. He is one of the friends who would like to walk like me. So, it was the challenges between me and him to see who get tired first on such walking. He surprised that I didn't get tired even after few kilometers, though I got little pain. We walked around till mid-night 2am except one shopping to another shopping got cab. We walked around 10kms seems and not sure and it could be more. We missed the dinner time and planned to have road-side food like Mumbai's famous food, Dabeli, Kadai Pulav and Vada Pav etc. the reason we missed the dinner was just we were discussing in a shopping mall till 11pm and came out for road-side food. So, almost all shops nearby were closed...again started to search for the food in the midnight. No nearby mini-restaurant or road-side stall except few expensive star hotels where we hardly get what we needed at that time. So, enquired and walked for the said food. Long distance. No luck really. Around three kilometers walked but no said food. We got a cab where we told the driver to stop on the way somewhere for Dabeli, Kadai Pulav and Vada Pav etc. as we are hungry. He agreed and said that we would get what we are looking for. Finally we got the place to get down and happy to see the road-side food like the above said one. The Dabeli with ghee hot serving was marvelous and other foods too. Unforgettable, we serve it to cab driver though he refused other foods except Dabeli. Finally we enjoyed the day and planned for the next day (with walking challenges in the day time). I will write other day's interesting walks article in other post sooner or later. I have similar outside travel experience in a different city that I will share one or the other day with the some photos and memoir. Thanks for visiting and reading my personal blog post. Have a nice day! There was an event from the brand Royal Stag Barrel Select which they introduced 'Large Short Films' that defines perfection with master storytellers of the cinematic world. There were four perfect shorts including ‘Camouflage’ by Aman Dahiya starring Purab Kohli and Sumeet Vyas, ‘Sparsh’ by Ankoosh Bhatt starring Puja Gupta, ‘Death of a father’ by Somnath Pal and ‘Maya’ by Aniruddha Roy Chowdhury starring Padmapriya were screened at the event as these story tellers shared their motivation behind creating these perfect films. There was Q&A as well among which were self-explanatory on the subject. Royal Stag Barrel Select Large Short Films has ushered in a revolution in the field of filmmaking, becoming the torch bearer of short films in India. If you love to watch short films for a large story then this is the best option for you to go with. Some of them says that, through a slew of powerful short films, the platform has successfully redefined movie-watching for cinephiles and has thrown up a reality check for viewers and filmmakers alike. Not only has it gained immense popularity but has become one of the most credible and celebrated stages for short films in India. The immensely talented film makers and actors came together and deliberated about their experience with Royal Stag Barrel Select Large Short Films. While they laid emphasis on the freedom the platform gives them to be able to showcase their innovation and creativity in the best possible way, the films showcased were sharp, original and thought-provoking, with the potential to bring about change. The four short films screened by Royal Stag Barrel Select Large Short Films' detail will be published on our other post. Thanks for visiting and please feel free to add you valuable comments so that we would be able to clarify any question or doubt if you have. As title says, the author has penned it such a way that a reader can casually go through the reality of the life with often fun and surprise around. The book would help us to refresh the day-to-day life across. A Tale of Two Homes, a fictional narrative based on events at two ends of the spectrum, was launched by Dr. V. Srinivas (Urological cancer surgeon-turned-author) at the Higginbothams Book Store, M.G. Road, Bengaluru on the January 25, 2018. If you are interested to know a bit about this book then read its brief over here. We will also publish its review anytime soon. The copies are available to buy online, and offline (Higginbothams) etc. The author has narrated the story using different characters. A Tale of Two Homes is the story which the book contain an epic home construction in the Nilgiris (Ooty), along with the thrilling, yet daunting, legal drama of a much-publicized apartment complex demolition in Mumbai. The author has masterfully weaved a tale full of witty humor and substance, wherein the reader encounter colorful characters across the spectrum of the good, the glittery and the greasy. Many things to learn from this book including the location in India where ships are broken. The Burma teak wood and its transport detail from Gujarat state to Ooty (Tamilnadu) via Karnataka state border with language issues etc. The book is a perfect travel or vacation or Sunday afternoon read - attention-grabbing and addictive – and will have you jumping between the cool, slow-paced, laissez-faire way of life in the Nilgiris to the chaos and corruption of Mumbai. The author’s inspiration to write, ‘A Tale of Two Homes’ stems from the insistence of a guest at Raven’s Nest, who was fascinated by the trials and tribulations of building one’s dream home. Overwhelmed by the response the book has received. The book is available on Amazon, Flipkart and White Falcon Publishing. About the Author: Dr. V. Srinivas is a leading urological cancer and robotic surgeon working at Hinduja Hospital and Asian Cancer Institute, Mumbai. You may also read the Second Chance Book review to learn lesson from others' mistake. And, WriterMelon's Jukebox book launches. Hey friends, are you planning to buy the latest and beautiful dresses for the upcoming occasion? If yes, this post might help you to get some benefits on your purchasing. I have already visited Millybridal UK website and bought few items including Royal Blue Prom dresses 2018 which I have mentioned on the post that link just given. You can check them and learn to go with. I also recently bought the below mentioned items to gift others and their feedback is really more than an investment and hug. I suggest you to go through Millybridal UK website and check the various dress materials, prices, comparison and try to purchase at least one favorite dress so that you can really satisfy on the best deal from them. There are many best selling garment items over there including Prom Dresses UK which can give you many benefits. Not only this, I am not forcing you to buy their product but suggesting you to little invest for the best garment, experiment it and then tell others about them. The reason is simple. Latest design, quality materials, many choices, cheaper price, easy online process, discount offers and quick delivery at your doorstep. What else one needed in this busiest world. This is one of the best online shopping websites that I ever came across. Try it if you don't believe me and later you can add comment over here. Dear friends, I am posting here after few days gap. Thanks for visiting my blog usually and expect the same cooperation. I would like to share some of the posts here and one of the first post in 2018 is all about the latest fashion, trending dresses and materials to match my fashion, beauty and travel blog. The trend alert is here again on fashion and dresses. The year 2018 has begun and you may expect some changes so fashion industry too included in this for the new design and latest dresses to release for their customers across. I was searching for the websites where I can get some of the latest dresses for both the genders with ample option and discounts. I was even going back to the past history where I purchased, so, it was fortunate that I got to visit the earlier once visited Millybridal UK website and purchasing from there. The site shows additional dress materials for both the genders compare to the recent past visit over there. The above image dress is Satin Tulle V-neck A-line Detachable Appliques Lace Prom Dresses from Millybridal UK. Why I bought from Millybridal UK? I recently visited few websites with the same reason but Millybridal UK attracted me a lot for the different reasons like the latest design dresses, cheaper price, as many choices, quality material and short-time delivery to our doorstep etc. so had to go with this. Millybridal is one of the best online shopping websites where you can choose the item simply, pay online and get deliver the items at your home within stipulated time. What I bought from Millybridal UK? The question is good, I purchased a Royal Blue Prom Dress to present the gift to known person. So, had enjoyed the product by the user and got a very positive comments from few of their end. You may also try and let me know if anything likewise. The above image given dress is Satin Scoop Neck Ball Gown Sweep Train Sequins Prom Dresses which you can enjoy it in any party or weather condition. There are plenty of options of Dresses for the both the genders and kids in Millybridal website to buy. Try to check each tab and decide the garment comparing the prices with others to know the fact. Please feel free to add your valuable comments or suggestion, if any. The year 2017 is about to an end and new year 2018 is about to begin, soon. Just very few days to go for it. Most of them would have traveled in 2017 across and most of them would have got so many good and bad's around in this duration, naturally. It was a quite a long I skipped to post something on this blog due to other commitments. The holiday and few hours of relaxation helps me to sketch out on recalling 2017. I might travel anywhere at anytime again whether it might be a last day of 2017 or the beginning of the year 2018. The travel is one of the unpredictable process for me. I had to travel in the beginning of the year 2017 itself and the travel prediction never worked out for me most of the time. However, there could be a surprise or sudden travel or luxury travel, adventure travel at anytime. It happened to me most of the time in 2017, earlier and hope the same in 2018, possibly. By the way I missed out many travel opportunities too in the past. My travel could be of anything like a business one, personal one or attending some event in any other cities. I try to avoid an international trips most of the time whether it could be of a sponsored one or few days or even a day for the business purpose. It might be due to couple of reason and one of them might be I had already traveled few countries in the past which let me ignores it and little hate on its various formalities. I, most of the time wanted to be a freedom on my travel whether it could be of a local or an international one. It could be of a low budget travel or a luxury one - I need completely freedom to enjoy my travel in my own way. As per my opinion, most of the time the new or the first time who travels a foreign country might be more exciting than the one who already been or traveled few other countries. So, I am in the later list. Not excited too. People used to travel within the country or outside the country for various reasons including business trip, personal travel, luxury travel, excursion including a safari, adventure, honeymoon, summer holidays or winter season holidays, nature places and on. So, it is all depend on each one's circumstances. I used to travel in the night time mostly that too all alone (which not supposed to do so, as per elder's advice). It become habit for me and I don't care anything on this thing particularly, and so far so good. Hope the upcoming year (it is just another usual day for me than numeric 2018 or earlier one and on...) will be the same for travel or luxury travel around. Thanks for visiting. Have a nice day! Most of them are Tea lovers in India, may be even across globe as well. If you are one of them then you can read this interesting information of the different tea stories, from this blog post. Typhoo, UK's third largest Tea brand known for its gourmet and varieties for revitalizing brews, on Tuesday, November 28, 2017 had their Master Blender Mr. Razi Khan in the Bangalore city to host an engaging and refreshing afternoon tea tasting session. In the event, all of us offered the finest tea and herbal infusions as well as discovering the nuances of British style tea drinking etiquette. Typhoo launched in India in 2008 and one of the fastest growing brands here. It has introduced over 25 flavors including covering the Indian consumers taste, Green Tea Lemongrass, Green Tea Tulsi, Green Tea Masala, Fruit Infusions etc. Other than this brand boast about Organic Herbal range spread over 26 variants and 73 pack sizes. All are from natural atmosphere. How to enjoy the Tea? Mr. Khan told about the British tradition of 'Afternoon Tea' and laid out variety of teas for different occasions of the day. He also stated that, the brand tea must be consumed without sugar or milk to know the real taste of the tea but with 80 to 100 degree temperature of water. He also stated the Tea etiquettes which surprised us. The brand Typhoo products are organic herbal only without any pesticides. They take care very well about its plant and leaves without any artificial method. We got to experiment around five different tea flavours as per his method which we really come to know the etiquette of the Tea, after a long time. The session helped us to move with them in the future in consuming the tea including time management for that. Mr. Khan said, Green Tea Tulsi flavour is the best to take as Afternoon Tea or after food. We got an opportunity to taste a twist 'Classic Assam' in Pyramid bas - it let us felt like refreshes and revitalizes mind and body due to rich malty undertones. Mr. Subrata Mukerji, Business head of Typhoo Tea India commented, "For over 110 years, since its inception in UK, Typhoo has indulged tea connoisseurs the world over with exotic healthy beverages beyond tea and revived tea drinking experience. We are delighted to host a unique tea tasting session that showcases various types of teas and infusions that can be enjoyed across the day." We got to enjoy other flavors of the brands viz. Tea with Jasmine Flavours, Triple Mint, Chamomile (Crotia's herbs), Orange Spicer Fruit Infusion and Apple & Fruit flours etc. Thanks to Typhoo for the wonderful opportunity given to us to enjoy these flavours which they are now readily available in the shopping center as well. Some of the latest flavours are going to launch in January 2018 by Typhoo. We have to wait to get them as well. Typhoo - it means in Chinese language...Ty is Tea..phoo is just an abbreviation and pitch of it. Thanks for visiting and keep reading this post to enjoy the tea taste with different flavours. This is one of my favorite brand Shirts. Yes, Charagh Din (CD) brand. I am sometime afraid to tell my brand Shirts or Pants or T-shirt etc. it is not because of something wrong but the precaution, yes, when I tell my brand what I am actually using it then I am sometime unable to get it online or offline afterward. Maybe the one whom I am telling them buying it or the other one who sees it might be in rush to get those brands then I am really unaware of "out of stock" happens after that. It has happened to me in the past. Yes, few times I told my brand shirts or garment items to my friends online, and offline too. After that I was unable to get those brands' garments to my size online precisely. The out of stock, despite huge searching here and there. So, I have to either search offline by spending extra time and energy or have to contact the relevant brands to send me one or more. Thus, I am avoiding it. This time I already bought Charagh Din shirts in advance so I am very dare to tell it whether other buys it afterward or not doesn't matter to me now. I completed my quota for a year, with this brand. The brand (Charagh Din) is an unique one and it has just only one manufacturer and showroom in Mumbai only, initially. Later they planned to expand it but not sure about it though or they might have either their own showroom or retailer in some cities across India. If you are looking for information on where to buy Charagh Din brand garments then I have furnished the Charagh Din address herewith. This is one of the less known but widely popular garment brand across. The clothes are quality and awesome always. They used to stitch only one shirts from each pattern. Isn't it marvelous. You will get CD Business shirts (formal shirts), party shirts, slim shirts, ditto shirts, regular T-shirts and slim-fit T-shirt etc. You can visit their website to order online as well. One of the best brand in India and the best selling shirts across. The best fashion garment too. Also, I heard that many duplicate on their brand name came earlier which doesn't work ever. The original is the original one ever. Buy it and try it. Where to buy Charagh Din shirts, please find its detail. Tips: You can directly order from the address given or online portal of them. Just Google about their website address. Things done. This is reference to my earlier post on Tribal Museum Silvassa, Vapi, Gujarat, India. I am continuing about the Tribal Cultural and its museum on this post so that I can let you know some more on the Tribal Cultural from the Museum that I visited which the place is not only one of the tourist hotspots but local history of that particular area as well. Those days, I mean, fifty years back was a Kingdom pattern almost everywhere on the earth. It was later changed to Republic pattern in selected few countries though not all. The Government, authorities, rules and people changed enormously beside keeping aside the past history. It is now unfair to compare the Kingdom vs Republic rules and political things happened at that time. If you are really concern or happy on this, we shall be knowing them from those days people only who could very well tell us which one is better, their past day or current day comparing between. I recently came across in one of the article in a famous newspaper in Bangalore that, an old respectable and freedom fighter in the city stated that those days were better comparing anything and the direction of the country is going differently now than what they expected and fought for. So, they had agreed those days pattern then, we can't say that it wasn't correct due to their own choice or else they would have struggled or fought for whether it can or can't be done or justified. Anyhow, coming back to the topic of the history and tribal museum. There are many best places to visit in India. There are many well known hotspot in India as you may be knowing. These places are already many visited and thus already popular. In general my thought is all about the less-known but beautiful places to visit in India. It could be of a beautiful scenery or natural one or historical one. Doesn't matter, have to go and learn to share something. So, the Tribal Museum Vapi, Gujarat helped me to satisfied in that matter. The second one is Daman beach and the third one is Dadra Garden Silvassa satisfied me at the same day due to all three places visited at the same day and all of them were less known compare to their counterpart in a different places. I would like to remember the past history too even if I can't remember all but little bit at least by practically visiting the nearby places and sharing with you. What to see in Tribal Museum? This time the Tribal Cultural Museum and nearby Park helped me to relax and sit for a while from that hot and dusty weather. I could see different wooden weapons, home utensils made in wooden, old nets to catch the fish, old house model, entertainment items like tabula or different music instruments, old garments, various faces and mask and on in Tribal Cultural Museum, Silvassa, Vapi, Gujarat, India. The Tribal Museum is not a big one and it could be of around two to three thousands square feet size premises and has an extra open ground outside the museum. I will write more about Tribal Museum soon. Stay tuned. Enjoy the article and add your comment. Tips: If you would like to visit Tribal Museum, Silvassa, Gujarat, then you can do so by getting down in Vapi Railway station or Bus stand whether you are coming from Mumbai or Surat city. You can visit there afternoon or evening time before its closing timing. The festival is going on for the Books, Readers and Authors in Bangalore, Karnataka, India. The festival is also called Bangalore Literature Festival. If you are a book lover or readers, or budding or popular authors then you can check the live updates of the Bangalore Literature Festival online from Facebook or Twitter with the hashtag of #BlrLitFest. This is two days (28th & 29th Oct 2017) program where many people across the country are invited to attend the same. There are few well known Authors were attended in this event including popular personality Girish Karnad. There were few foreigners as well. Please find the attached Bangalore Literature Festival schedule where you can find the other popular personalities including sports category were/are attending names there. 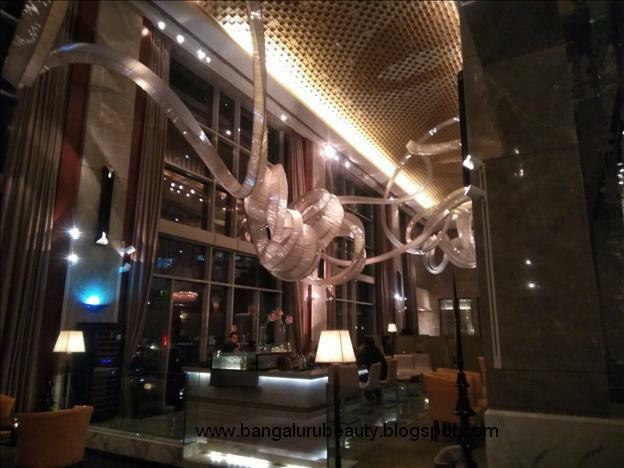 The Lalit Ashok Hotel in Bangalore was almost full at the three different area near the Swimming pool for this event. Each session were helpful to learn so many things about the past and present - history from the literate people or author upon their speech. As per the official announcement, this is the sixth edition of the Bangalore Literature Festival, India, which is going successfully. There was/is a separate Atta Galatta stall where one can find huge collection of the latest and old books to grab their favorite one. For more detail on this, please use #BlrLitFest hashtag in FB or Twitter and enjoy the live updates. Tips: If you are willing to attend such event then try to contact the official website or social networking handling to get in touch with them. This is reference to my earlier blog post on Dadra Garden Silvassa, Gujarat Trip during Sep, 2017. I visited to Silvassa, Gujarat state, India after alight to Vapi from Mumbai. I was overwhelmed in Daman beach too despite hot and dusty around. I had stated the reason of the climate detail in my first post itself. There are couple of Tribal Museum in India to visit and enjoy. They are some of the best places to visit in India to learn the past or recent past history of the particular area how they had lived in realty. The museum described about the old tribe and culture that we used to learn from the school's history book and those book wouldn't have covered everything but such Tribal museum in every state or country helping us to learn about the place how it is currently and in the past. What to see in Silvassa, Gujarat? Anyhow, please find some more detail on Tribal Museum, Silvassa, Gujarat, India. This was one of the place to visit and in my sudden list as well. 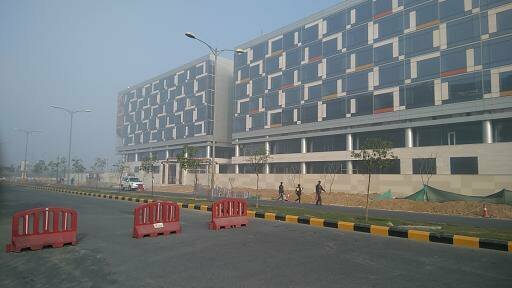 I was trying to go Vapi since long but this time got an opportunity to reach there. 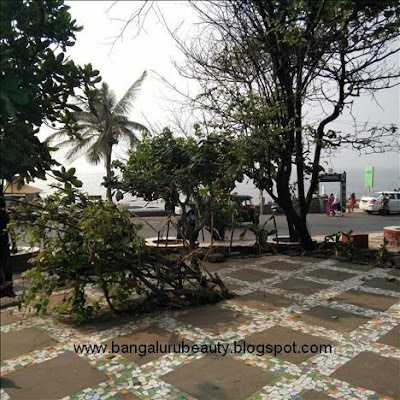 The reason being was, it is near Mumbai city and around 150 kms distance from Mumbai to Vapi. The other reason being, at least three places a traveler can cover from there like Vapi, Daman (beach with natural atmosphere) and Silvassa. Not only this, you have plenty of the other visiting places from this point. Yes, one of them is, Dadra Nagar Haveli too. Time only needed to cover all these hotspot. Those places were really hot (climate) as well at that time compare to Mumbai, Bangalore, India. When I got down in Silvassa's main area (I forgot the name) from Vapi, I then asked nearby people all about where is Tribal Museum? They just replied in local language which I can slightly understand that 'it is over there' by sign. It means just walkable distance to reach that place which is located in one of the main junction that split trio-route. Tribal Museum Silvassa, Gujarat is located in the corner of the left side of the Silvassa's main trio-junction when you started to go there from Vapi. I finally reached the Tribal Museum by managing the heat at 2pm having light snacks and butter milk. When I entered Tribal Museum Silvassa then took some outside snaps which (few of them) attached on this post. The reception woman told me to sign on the log. The reception told me not to take any photos inside the Tribal Museum, Silvassa due to its strict policy. I requested her to take very few snaps with the permission but she didn't allow anyone over there. I asked her whether I can speak to higher authority for taking very few snaps inside the Tribal Museum to remember or blog. You have to wait till they (higher authority) come over there to get the permission, she replied. I again told her that I came so long and please give me a permission for very few snaps. She refused due to its policy. She is absolutely right in her work. I entered inside and found strange and old cultural things decorated in a nice way inside the Tribal Museum Silvassa. They are doing great job by maintaining the old culture items to remember for people like us who travel and find something unique to either write or remember the past history of the area. Time being you can enjoy the post including one photo which was taken inside the Tribal Museum with the permission from authority by explaining them that I am a Blogger who write about such historical or tribal stuff which few snaps already available online from other visitors etc. they agreed since we also promote travel, tourism and museum, so, got a chance to go with. How to reach Tribal Museum, Silvassa? The best way to reach Silvassa Tribal museum is to get down in the Vapi and take the right route from local cab or auto. Yes, you can also see on the way Dadra Garden which is really worth to visit. By the way, I will continue to write this topic to let you know the glory of Gujarat, India.